The Enugu State Government has commenced repairs on a major road in Udi Local Government Area of the state. A section of the interstate linking road had caved in about two weeks ago after a downpour, making the movement of residents difficult. 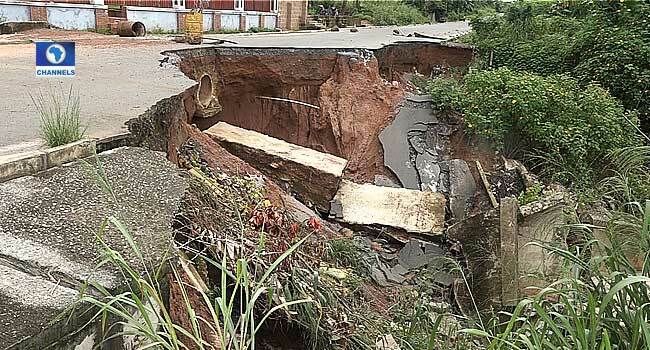 But the Commissioner for Works in the state, Greg Nnaji, says the commencement of repairs will in no time, help to alleviate the suffering of the people. Speaking to Channels Television, a resident who decried the state of the road, appreciated the government for intervening. The state government has, however, called on the Federal Government to reimburse funds spent on federal roads in the state, to enable it carry out its elected responsibilities.